Baking bread is one of my favorite things in the world…and it’s not nearly as hard or complicated as I used to think it was. It just requires a little time and patience (if you’re missing either, I recommend the Peace Corps). There are two things that make bread baking just a tad complicated: activating yeast and kneading dough. Kneading dough is something that just takes practice, I think. 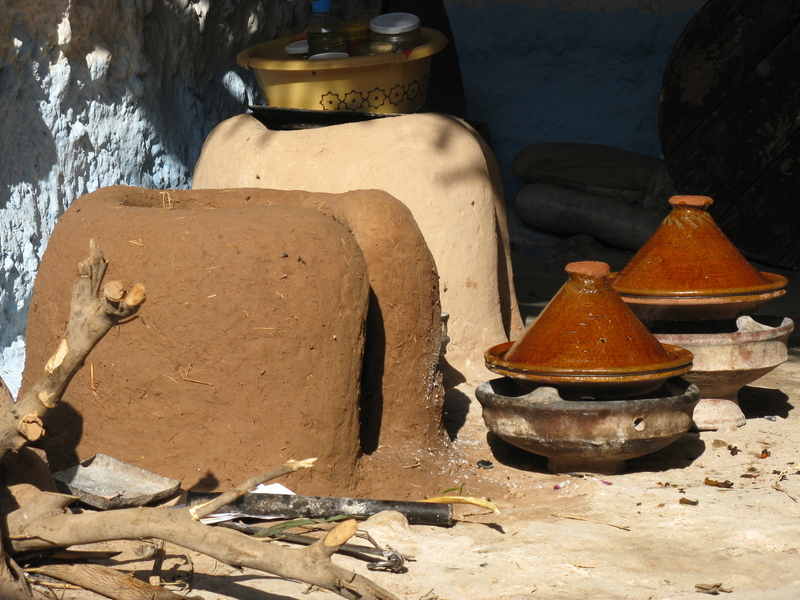 Moroccan women (and anyone well-practiced enough, I suppose) can mix their dough so perfectly that not a speck of flour is left in the mixing bowl. I’m still working on that one. After a bit of kneading I frequently have to add a bit of water to a too-dry dough or dust some extra flour on a dough that’s too sticky. As far as activating yeast, most bread recipes involve a step that involves mixing yeast and water, sometimes with sugar, often before adding those ingredients to the flour and everything else. This allows you to test the yeast to see if it’s good or active – if it is, it’ll start foaming and bubbling after a few minutes of being mixed with water of the correct temperature. My rule of thumb for water temperature when it comes to making bread – and it’s never failed me – is that that water should be hot enough for you to hold your fingers in it for exactly 10 seconds – no more and no less. If you can’t keep them in for that long, it’s too hot, and if you can keep them in longer, it’s not hot enough to activate your yeast.